Snorkeling Zanzibar is great. 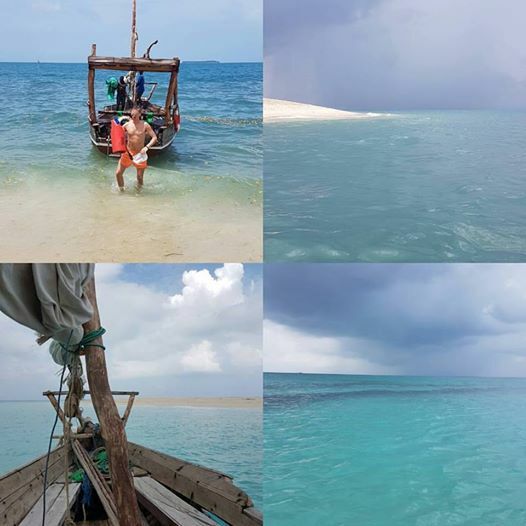 The other day honeymoon couple Fredrik and Therese took a traditional wood boat 20 minutes west to discover the corals and fishes around Bawe sandbank and Bawe island. This is one of Zanzibar’s best snorkel sites with intact, colorful coral just a meter below the you at low tide. Fish in various sizes and colors are of course seen too. Unfortunately they had a rainy day but the water and the air was warm so they had a lovely day with fruit picnic on the sandbank. Amazing colors!